AkiDwA as an organisation emerged from regular meetings held amongst fellow migrant women, from 1999 to 2001, initiated by Salome Mbugua, a Kenyan migrant woman who had arrived in Ireland in 1994. The first meeting was held in city centre Dublin, in Temple Bar, in 1999. In 2001, through the support of the Catherine McAuley Centre, Salome mobilised a group of African women to come together to share their experiences of living in Ireland. What emerged from this meeting were feelings of exclusion, isolation, racial abuse and discrimination, issues related to gender based violence were also raised. The group went on to meet regularly and were supported and offered facilitation from outside. AkiDwA sought and obtained funding from the Combat Poverty Agency in 2002 to carry out a pilot needs assessment with African women living in Ireland. The survey elicited over two hundred female participants from seventeen counties. Formal structures were put into place when AkiDwa was registered as a company with guarantee but without capital share in 2003. However, limited funding meant that most work continued to be carried out on a voluntary basis. With a view towards enhancing the integration of migrant women and indigenous women, training modules were developed including programmes on capacity building, cultural diversity, racism and its effects on society. In addition, ‘Train the trainers modules were also developed’. Over the years, the organisation has gained recognition as a leading NGO in Ireland, reviewing key legislation, policy and practice as well as proposing reforms specifically to do with the issues faced by migrant women. AkiDwA consulted with migrant women and other key stakeholders, identifying gender and racially discriminatory practices, to develop evidence based and representative solutions for migrant women in the key identified areas of gender-based violence, gender discrimination. AkiDwA employs the following key strategies to achieve its objectives: networking, policy work and individual and organisational capacity building/development. AkiDwA’s networking strategy is aimed at individual and organisational levels. Policy work is developed from migrant women, identifying their needs in the areas of gender discrimination, gender-based violence and employment. AkiDwA develops legislative, policy and practice reforms to address these priority issues with government and sectoral stakeholders, as well as capacity-building programmes to deliver the on the ground practical support that women require. AkiDwA has developed the capacity of hundreds of migrant women and their communities living in Ireland over the course of its lifetime. Their capacity building was supported through our network, resource centre, outreach and training programmes aimed at promoting participation in their local communities, in civic and political structures and in sectoral and government consultations and decision making processes. Training programmes delivered over the years including targeted capacity building in multiple regions, sexual health workshops, access to education and employment, integration, leadership and political/civic participation sessions. 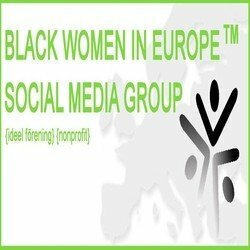 Cork African Women’s Group aims to promote the social inclusion and integration of African women in Cork. 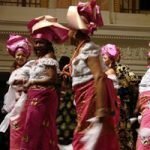 Igbo Union Cork Chapter – Women’s Wing is a non-profit community organisation uniting women of Igbo origin or affiliation. The Maisha initiative was launched in 2007 with the aim to make visible the contributions of women and role models within the African diaspora in Sweden. The association presents cultural events; seminars, workshops and promotion of cultural exchange between the African continent and Sweden. The major event since 2008 has been the Maisha gala, African Diaspora Awards. Kf Maisha skapar möten och arrangerar evenemang. Vi vill bidra till att berika bilden av Afrika och den afrikanska diasporan genom kultur. År 2008 hölls den första Maishagalan med syftet att uppmärksamma de som gjort betydande gärningar kopplade till den afrikanska kontinenten. Syftet var att berika och nyansera mediebilden av Afrika, synliggöra kvinnor samt lyfta fram förebilder inte minst dagens unga. Projektet utmynnade i bildandet av kulturföreningen Maisha, ett namn som betyder ”liv” på swahili. Föreningen verkar för att skapa fler tillfällen till möten mellan människor – för vad vore livet utan kultur och möten? Maishagalan är ett årligt återkommande evenemang där flera priser delas ut bland andra i följande kategorier: Årets inspiratör, Årets entreprenör, Årets artist, Årets nykomling och Årets Diaspora pris. Utmärkelserna Maishas Hederspris, Hedersomnämnande samt Pionjärpris har tidigare delats ut. Stolt! där vi lyfter fram oetablerade unga kulturutövare och skapar ett forum för kultur och dialog. Stolt! hölls för första gången 2009. Global Education där ambitionen är att bidra till en hållbar samhällsutveckling. Kulturprogram med seminarier där fokus är att uppmärksamma personer som verkar i den afrikanska diasporans tecken. Vi samverkar med andra föreningar och skapar en plattform för bildandet av nya nätverk, där mötet mellan det svenska och afrikanska är en del. Plusgiro: 69 59 31-6 för dig som vill stödja oss med valfritt belopp eller genom att bli medlem. Bli stödmedlem! Avgiften för medlemskap är för närvarande 100kr/per år. Rabatt på events, seminarier och andra evenemang som vi arrangerar.